Now available in PRINT only! 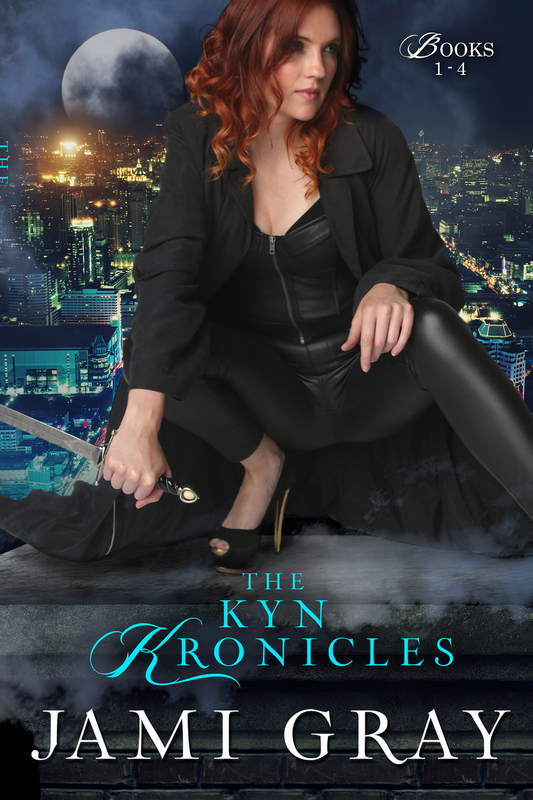 Jami Gray is the award winning, multi-published author of the Urban Fantasy series, The Kyn Kronicles, and the Paranormal Romantic Suspense series, PSY-IV Teams. Her latest release, SHADOW’S MOON was a Golden Claddaugh Finalist, and the first in her newest series, HUNTED BY THE PAST, hits shelves in July 2014. She is surrounded by Star Wars obsessed males and a male lab, who masquerades as a floor rug as she plays with the voices in her head. Posted in New Releases, The Kyn Kronicles and tagged Kyn Kronicles, new release, paranormal, urban fantasy.